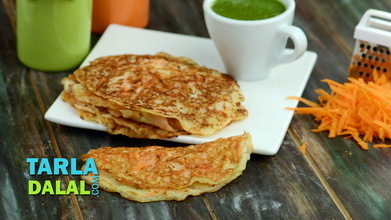 This is Mumbai’s own version of Mysore Masala Dosa. 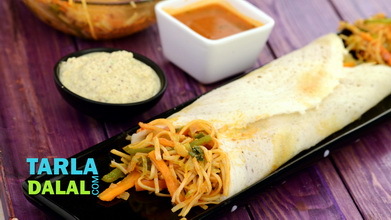 While the traditional Mysore Masala Dosa features chutney-smeared dosas with a simple potato masala rolled inside it, Mumbai’s street vendors offer a more exotic version, in which crispy dosas are smeared with a sweet, spicy and tangy Mysore chutney and rolled up with a unique masala of chopped and grated veggies perked up with our very own pav bhaji masala. 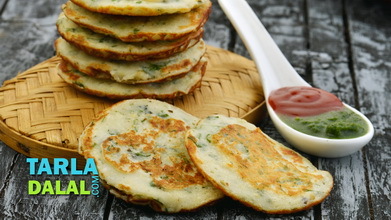 This gives it an absolutely peppy and ‘local’ taste, as well as an interesting mouth-feel! 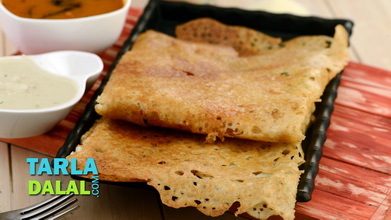 Very sumptuous, this snack is nothing short of a complete meal, when served with hot sambhar and fresh coconut chutney. 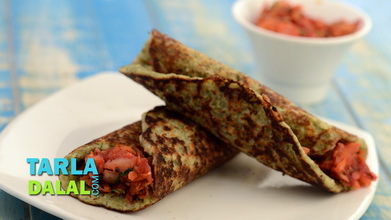 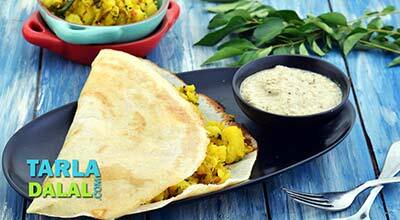 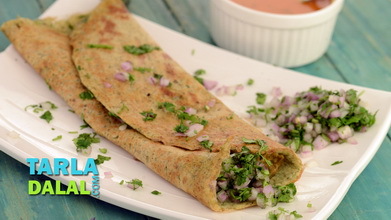 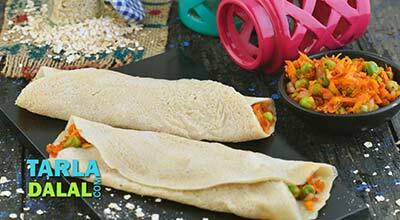 Serve the mysore masala dosa immediately with coconut chutney and sambhar. 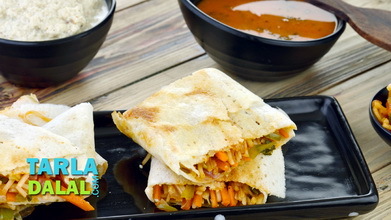 Store the excess mysore chutney in the refrigerator in an air-tight container and use it within 3 to 4 days.